A crocodile can’t stick it’s tongue out. A shrimp’s heart is in it’s head. It is physically impossible for pigs to look up into the sky. Rats and horses can’t vomit. Like fingerprints, everyone’s tongue print is different. Every year about 98% of atoms in your body are replaced. Hot water is heavier than cold. Sound travels 15 times faster through steel than through the air. Sloths take two weeks to digest their food. Guinea pigs and rabbits can’t sweat. Gorillas sleep as much as fourteen hours per day. Money isn’t made out of paper; it’s made out of cotton. Your stomach produces a new layer of mucus every two weeks – otherwise it will digest itself. There are no words in the dictionary that rhyme with: orange, purple, and silver! Leonardo Da Vinci invented scissors. Chewing gum while peeling onions will keep you from crying! It’s against the law to have a pet dog in Iceland. The elephant is the only mammal that can’t jump! These are the concluding lines of Robert Frost’s poem – The Road not Taken. We are presented with choices every day of our lives and our decisions lay the blueprint of our future. So, isn’t choosing a fine art? Do we allow our emotions to rule when we make our choices or do we go by logic? Some choices that we encounter do not matter too much as we are not in a life/death situation. But in life, we are presented with choices like ‘abortion’, ‘euthanasia’ etc. Here, even consulting experts or our parents is not a solution as even after making such a choice, we may have to live with guilt if we have not given enough thought in our decision. The senses of children today are bombarded with videos and sound through gadgets like smartphones, tablets, televisions etc. They are overwhelmed with media and do not have a chance to look at books and board games, unless, parents can guide them. So is too much choice necessarily good? In India arranged marriage is very common. But if you tell that to a foreigner they will show be taken by surprise. Why do we sometimes make choices against our best interests? Or are some choices driven by family, society, culture rather than one’s own interests? Statistics does show that the success of arranged marriages is way higher than love marriage. One reason is that, love and marriage are not the same. And living together entails a lot of give and take! We also find very happy couples in both type of marriages. So is it actually advantageous to have more choices. Does it mean we have more freedom if we have more choice or do more choices overwhelm us and make us undecisive? The course we take can decide the future of our career. The food we eat can decide our health. We have a choice whether to exercise or relax. 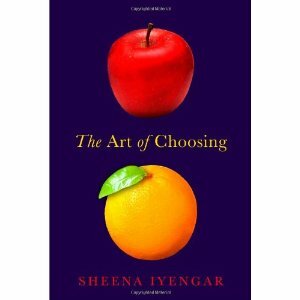 This exciting book with numerous practical, everyday life examples is a must-read for all of us who face the thrills and tribulations of making choices everyday. How do you make important choices in your life? Who do you think will win the US election?